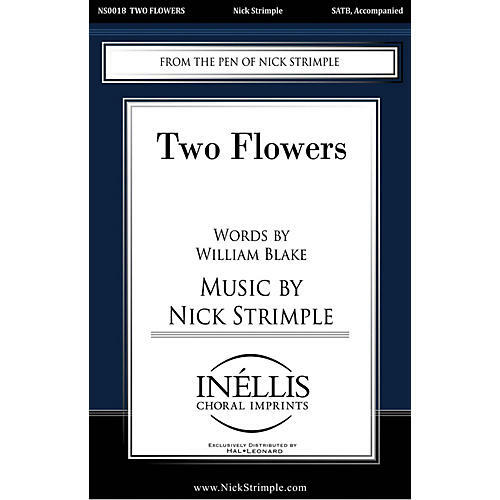 Two Flowers, presents two contrasting, yet related, poems by William Blake, The Sick Rose, and Ah, Sunflower, in a single piece. Composed in a diatonic style with traditional, though slightly edgy harmonies, it is suitable for high school, college or community choirs. Much of the writing calls for soprano/tenor and alto/bass unison.